Made of ultralight 70 denier Nylon-PVC. Which is extremely strong, robust and resistant. 100% waterproof. Each single pair factory-tested for leakage. Nice body style with flexible shoulder straps, chest pocket, good grip moulded sole. Color: green. Available in sizes from 39 up to 48. Spacious chest pocket for a lot of eqiupment. 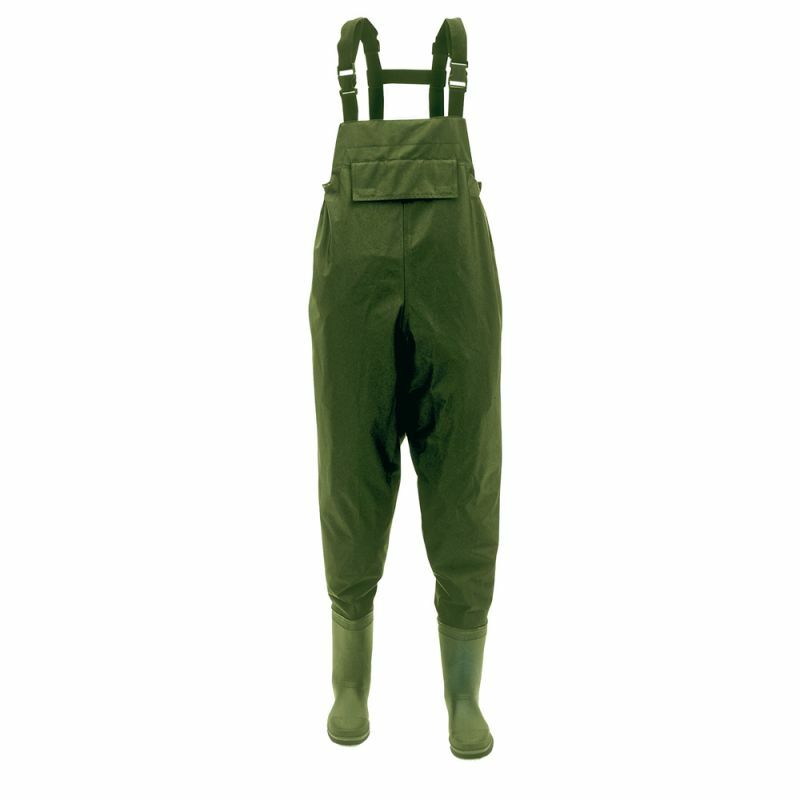 The waders have a sturdy outsole for plenty of grip in the water and on land. 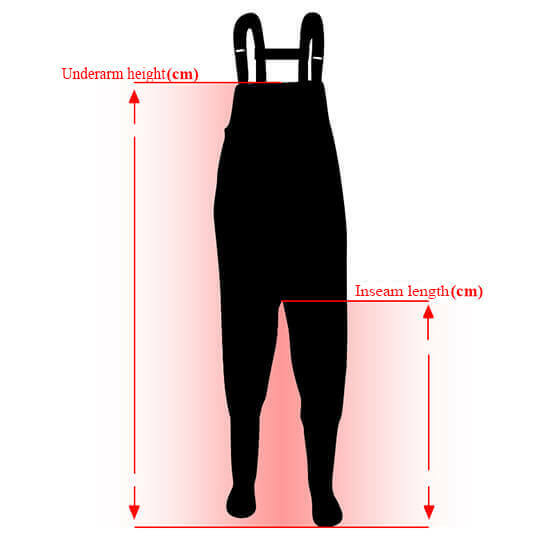 The length of the insole helps you to choose the right shoe size that fits perfectly, for example by measuring insoles that you already own and comparing them with our table.